Do you have what it takes to join Thorin and his Company on their adventure to reclaim their home in the Lonely Mountain? 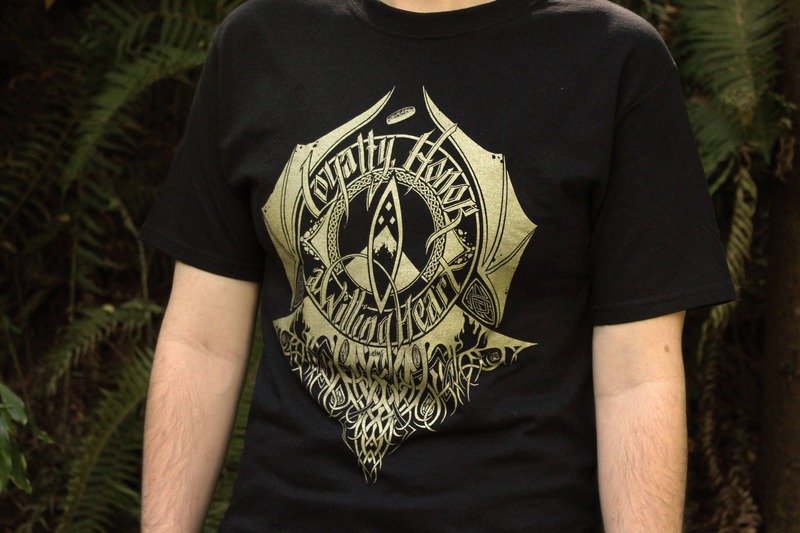 This shirt will be metallic gold ink (because the Dwarves would love that) printed on a black t-shirt. Awesome fur fringe not included with shirt, unfortunately. This t-shirt is being retired. We've printed our final print run of this design and we will not be reprinting it. Sizes marked as out of stock will not be restocked. 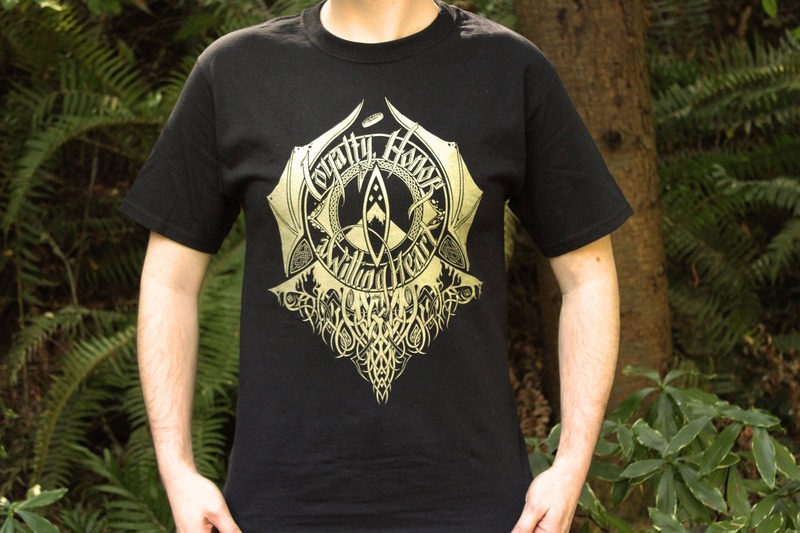 We print on 100% Cotton t-shirts, using only earth friendly water-based inks that give our designs a soft, touchable feel. 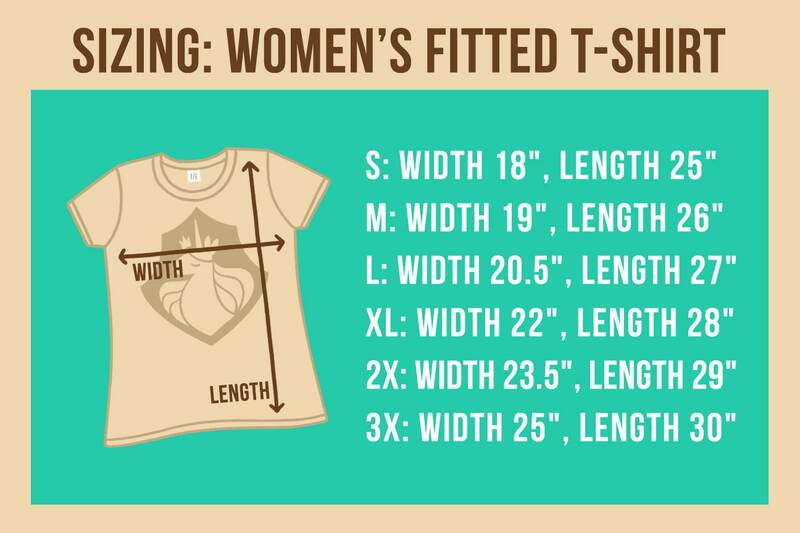 Our shirts are available in unisex sizes small through 6x, and ladies fitted sizes small through xl. 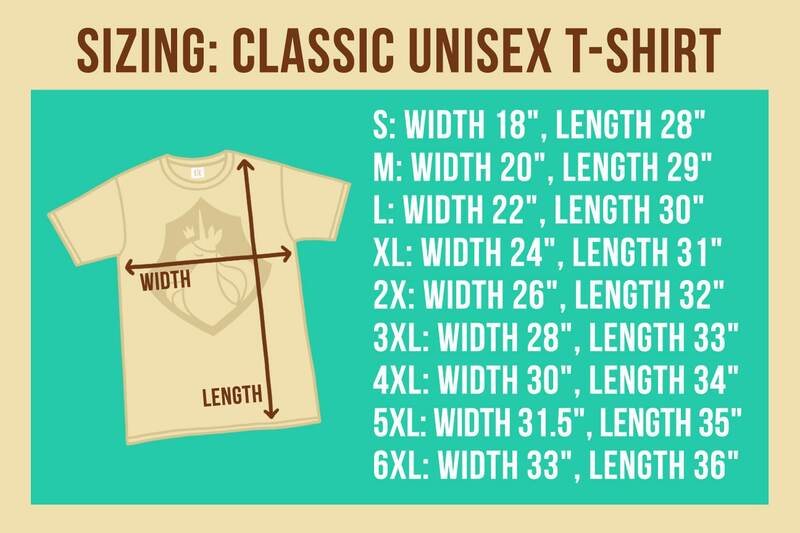 See sizing chart below. I love this shirt and I'm super happy that I bought it. 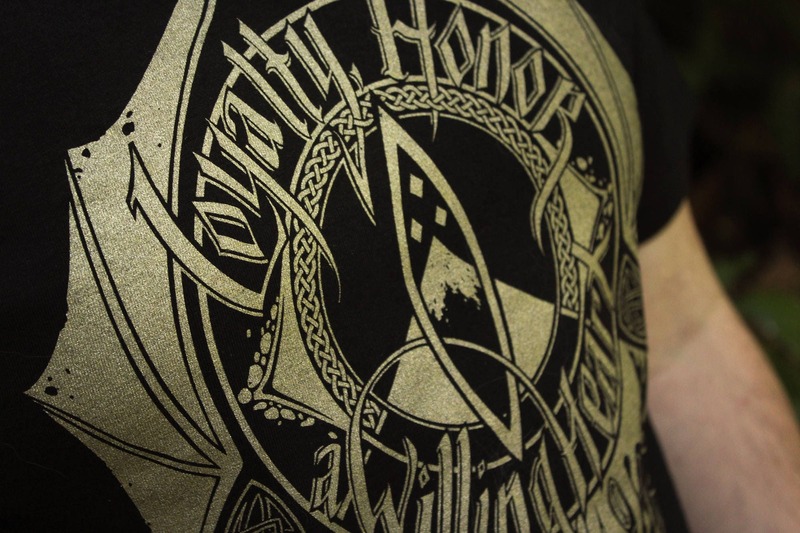 The ink is a really beautiful shimmery gold and the design is even cooler in person. Sent quickly, good seller, nice item.